Orthopaedic Research Institute | ORI Seminar: What’s Different about Parkinson’s Disease? 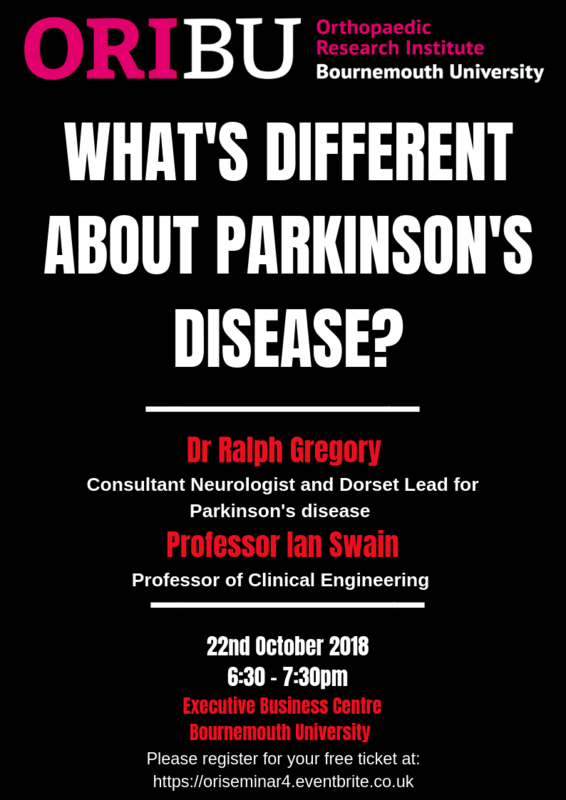 On Monday 22nd Octobe r 2018, the Orthopaedic Research Institute welcomed Dr Ralph Gregory and Professor Ian Swain to lead an evening seminar on Parkinson’s Disease. 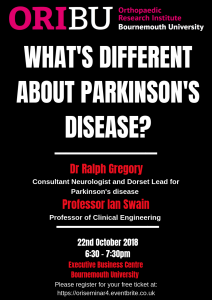 Dr Ralph Gregory, Consultant Neurologist and Dorset’s lead for Parkinson’s opened the evening with an insightful and informative talk on the treatment of Parkinson’s disease. Dr Gregory highlighted how Dopamine has, for a long time, been the most frequently used medication used to help manage symptoms, and that recent work has sought to explore new and innovative methods to help patients. Dr Gregory demonstrated his work through a video-assisted talk, showing some moving examples of how assistive devices have helped improve his patients’ ability to complete daily activities. In addition, he highlighted some of the key early symptoms of the disease, including the loss of smell and disturbances to rapid eye movement sleep. 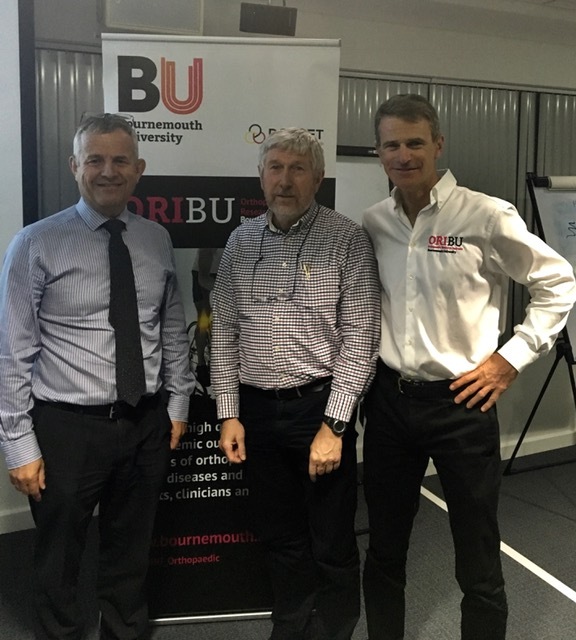 Professor Ian Swain followed Ralph’s talk, sharing recent research from colleague Dr Paul Taylor, who has investigated the role of Transcutaneous Electrical Stimulation to reduce bradykinesia, as demonstrated by improved walking speed, in patients with Parkinson’s Disease. The research team found clinically meaningful improvements in around half of the participants and are in the process of planning a fully powered study to investigate further.